On May 10, 2018, President Trump announced in a tweet that he would be meeting with North Korean leader Kim Jong Un on June 12th, in Singapore, in the hopes of denuclearizing North Korea. The meeting has been in the works since March, when President Trump accepted Kim’s invitation to meet. It will be the first ever meeting between the United States President and the North Korean leader. “The U.S. is prepared to open trade and investment with North Korea in exchange for elimination of its nuclear program,” said Bolton. “Singapore was among one of the possible places for negotiations, although many previously assumed that the probability of holding them in the demilitarized zone is higher,” said Chinese expert Ren Yuanzhe. 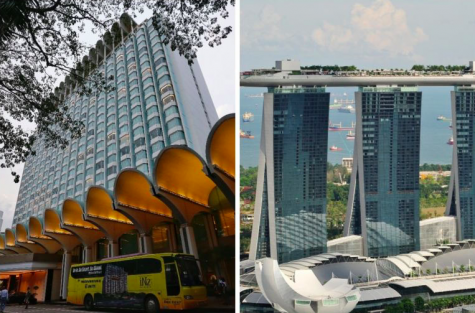 Singapore has been selected as the location for the meeting between the two leaders due to its geographical proximity to Pyongyang, neutral foreign policy, and solid national infrastructure, according to CNN. The Summit was originally considered being held in a Korean demilitarized zone, or a different neutral location, but was then moved to Singapore. Singapore has a solid reputation for being a fair place for world leaders to meet. In 2015, China and Taiwan had a historic meeting which helped to calm tensions between the two countries who had conflict with each other for years, according to BBC. 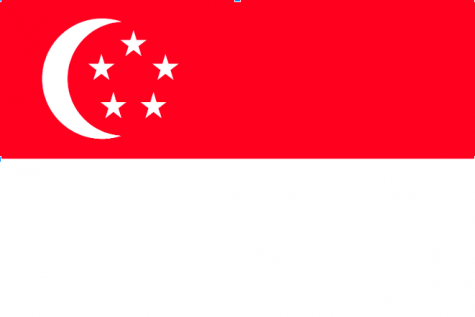 Singapore is also a place that Trump and Un will both feel safe from attacks from opposing countries. Mike Pompeo, Secretary of State has recently returned from North Korea for the second time in the last two months. During these visits, Pompeo was able to return three American citizens that had been detained in North Korea, according to NPR. Depending on how the meeting goes, it could be a complete failure. Experts believe that Kim could make it seem that Trump ruined the talk, which would put the US and North Korea back to square one with more intense threats of nuclear war from both sides. 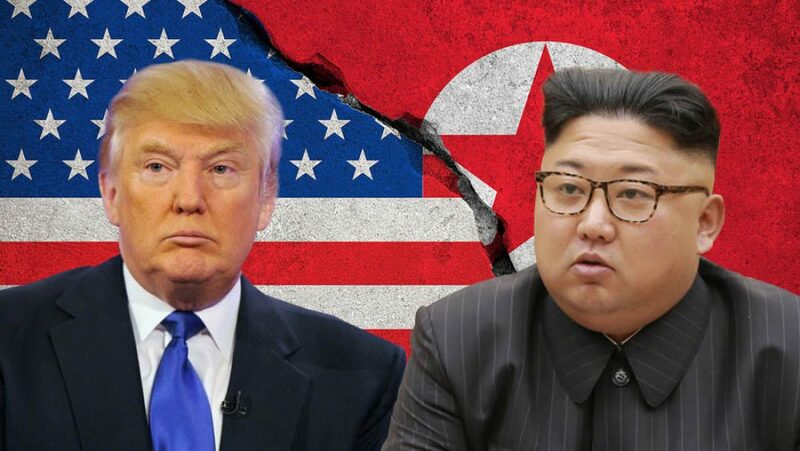 North Korea expert Vipin Narang thinks Trump will most likely agree to deals to start the denuclearization of North Korea. Mrs. Jodie Purcell thinks the meeting could potentially lead to a historic agreement between the two countries, but it might not be as likely. “I think the meeting of Kim Jong Un and Trump is historic,” Purcell said. “I think it’s something that is very important, however given Trump’s lack of understanding of world politics I don’t have high hopes that it will accomplish much. It may lead to a historic agreement, but not something that will happen at that meeting,”. Both countries seem to have high expectations for the meeting, which could be the biggest issue in the summit. Trump wants North Korea to completely denuclearize, and North Korea claims to want nothing from the US. Trump wants North Korea to denuclearize fast, but it could lead to more tension between the countries, causing the summit to end badly. Government officials are taking note of the upcoming summit, Secretary of State Mike Pompeo (R) being one of them. According to Michael Collins of USA Today, Pompeo is fully aware of the high risk that goes along with the upcoming summit, but the US is willing to take their chances. 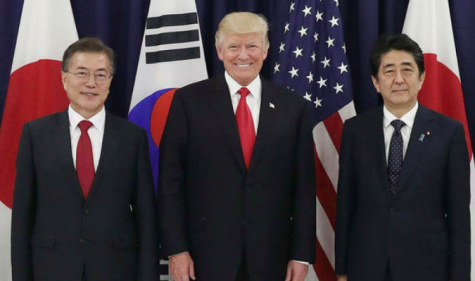 US President Donald Trump met with South Korean President Moon Jae-in and Japanese Prime Minister Shinzo Abe at the G20 Summit in Hamburg, where they promised to apply “maximum pressure” to counter North Korea’s nuclear threat. Pompeo also made note of previous occurrences of North Korea not honoring promises to dismantle their nuclear weapons. In apparent accordance with the Pompeo’s stated goal of the denuclearization of the country, North Korea has announced they plan to destroy its nuclear test site in the weeks leading up to the summit. This is welcome news to those on US soil, who have endured threats of nuclear war with North Korea for years, especially in the Trump Era. With the dismantling of the North Korean nuclear sites, the US will open trade and investment with their country. However, both Pompeo and National Security Advisor John Bolton (R) made clear that North Korea should not anticipate any economic aid from the US government. The way the US is approaching the summit seems along the lines of “you need it, we have it, and we’ll give it to you under these conditions”. As for the perspective of Kim Jong Un, it is unknown, but it is clear that he has been following western and US news as he prepares for his meeting with President Trump on June 12th.